The cyanotype was discovered by Sir John Herschel in 1842. Also known as the blueprint or ferroprussiate process, the cyanotype was one of many iron-based photographic processes developed in the early days of photography and, due to its relative simplicity, is often one of the first historical processes that people study. Though typically an image rendered on paper in various shades of blue, the cyanotype is a process that lends itself to adaptability and experimentation regarding substrates and color alterations through various toning techniques. 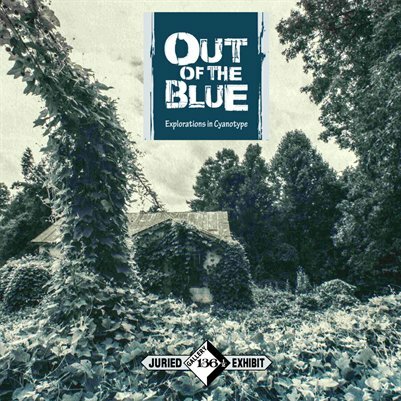 This catalog is the document of a 2016 juried photography exhibition at Gallery 136½ in Connecticut, cyanotypes on paper, cyanotypes printed on other materials or manipulated through toning, and mixed media pieces utilizing the cyanotype process.